Hello, my name is Debbi Spendlove. I am a Master Rapid Eye Technician and RET Trainer, Life Skills Coach, Reiki Master, Cranial Sacral technician, Foot Zoner, and Intuitive Healer. I was introduced to Rapid Eye 14 years ago during my divorce. It came as a Godsend; I was struggling terribly with the guilt of a failed marriage and the overwhelming realization that I now needed to support myself and my children. As I began my healing process with Rapid Eye I was amazed at how easily and quickly I was able to move through the hurt, anger and guilt. In the first 6 months of RET I made more progress in healing than in the previous 17 years of searching for answers. I began to understand my limiting beliefs and how they had created my life experiences. The RET process helped me identify and heal past traumas and start creating a more positive life journey. It was then I knew that I had to become trained in RET and share the benefits that I had received with others. I am so grateful for all that Rapid Eye has done to improve my life. I have been a Rapid Eye technician for 8 years now and have loved the journey. 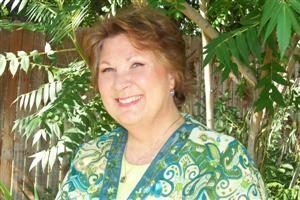 As a Master Rapid Eye Technician, RET Trainer, and Life Skills Coach, I can guide you through this amazing process of self-discovery and healing. If you are interested in achieving faster, deeper healing please contact me for a Rapid Eye session; I believe that you’ll be glad you did.